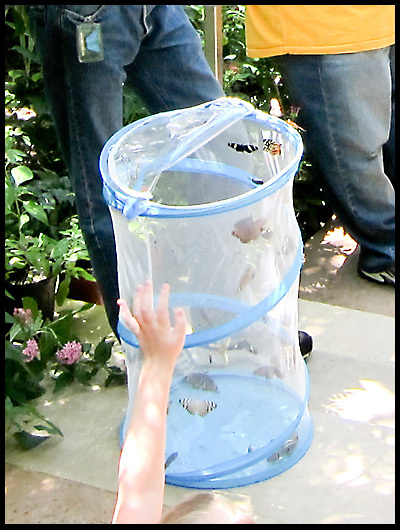 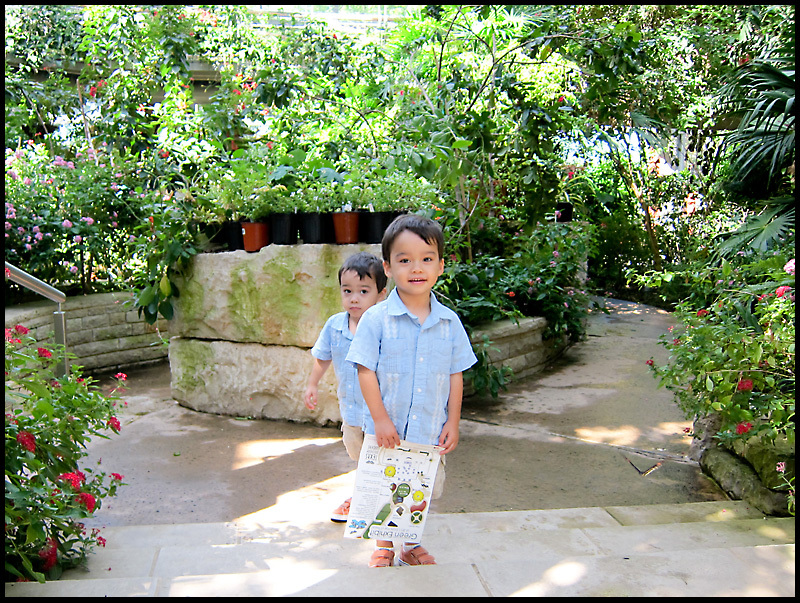 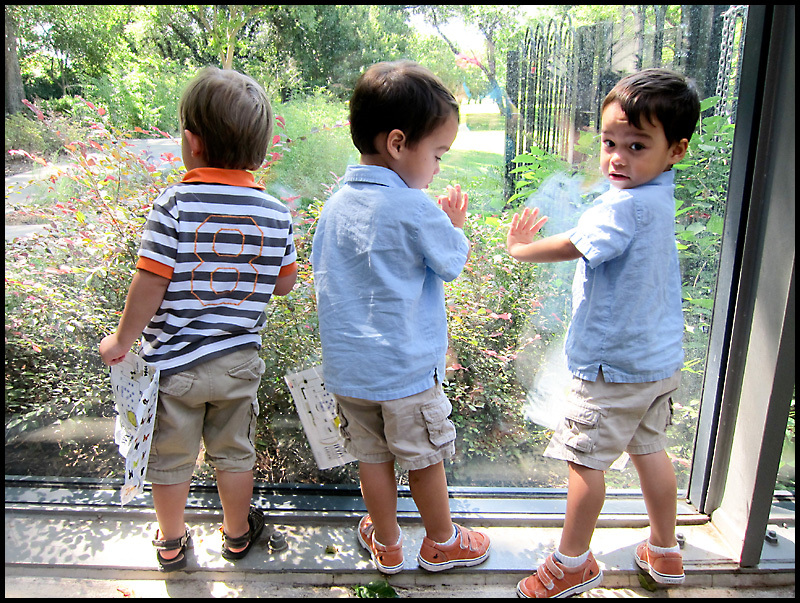 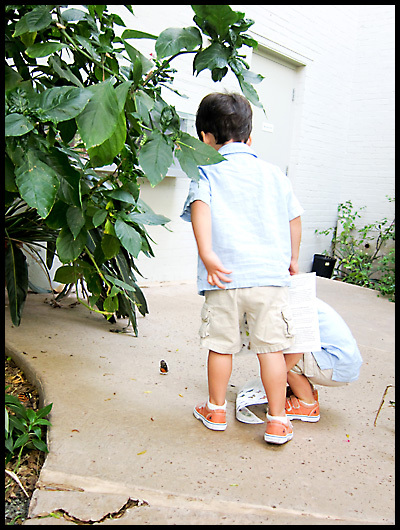 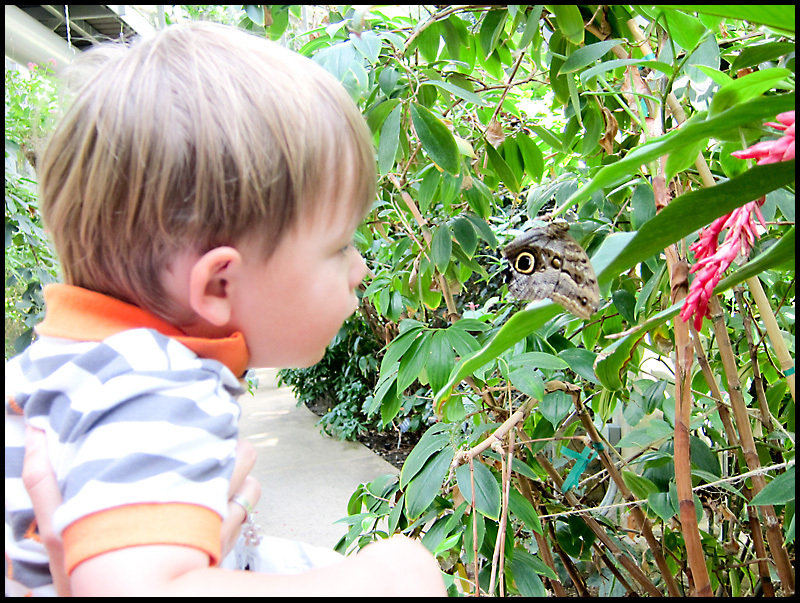 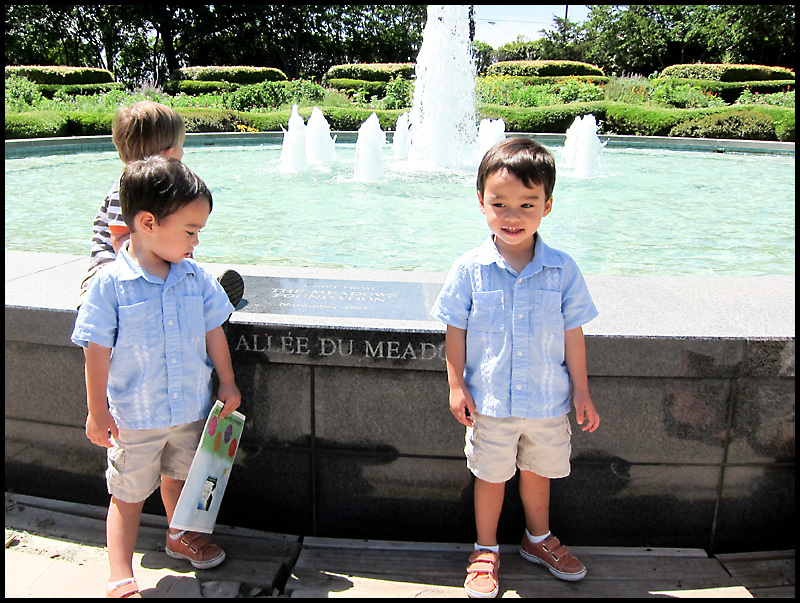 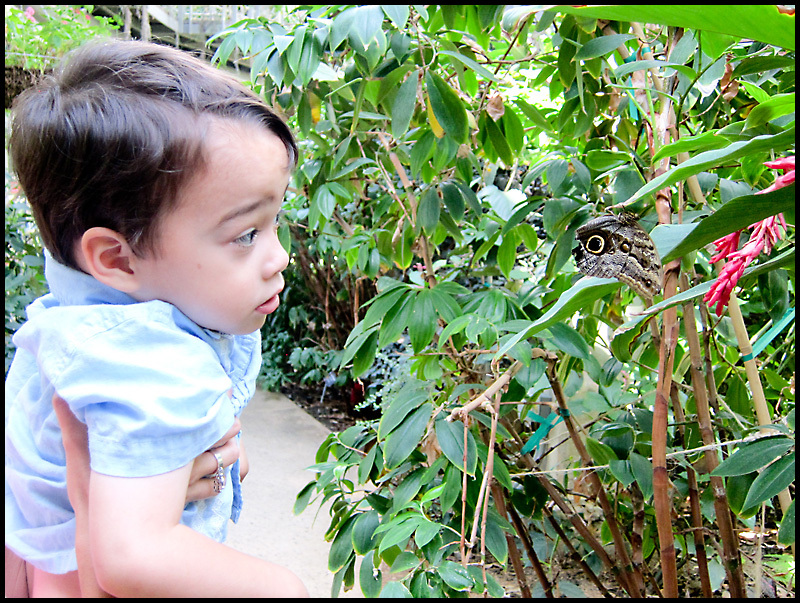 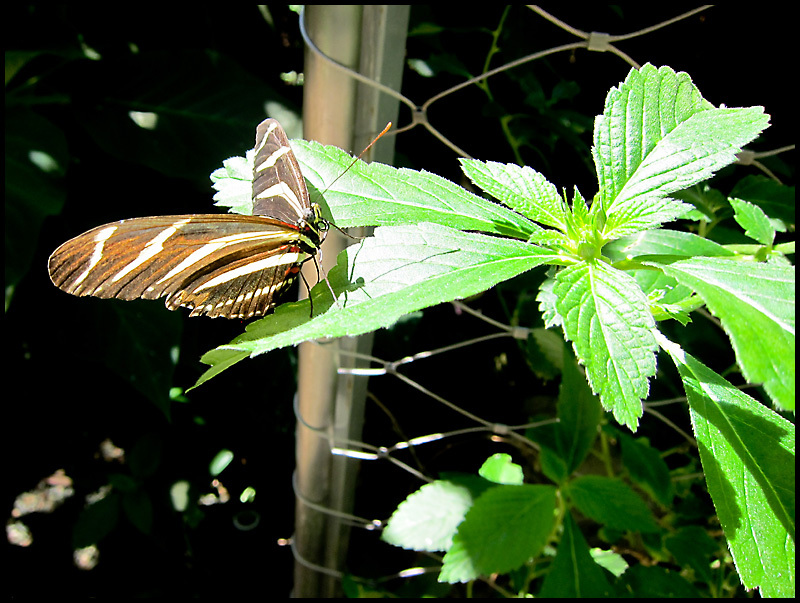 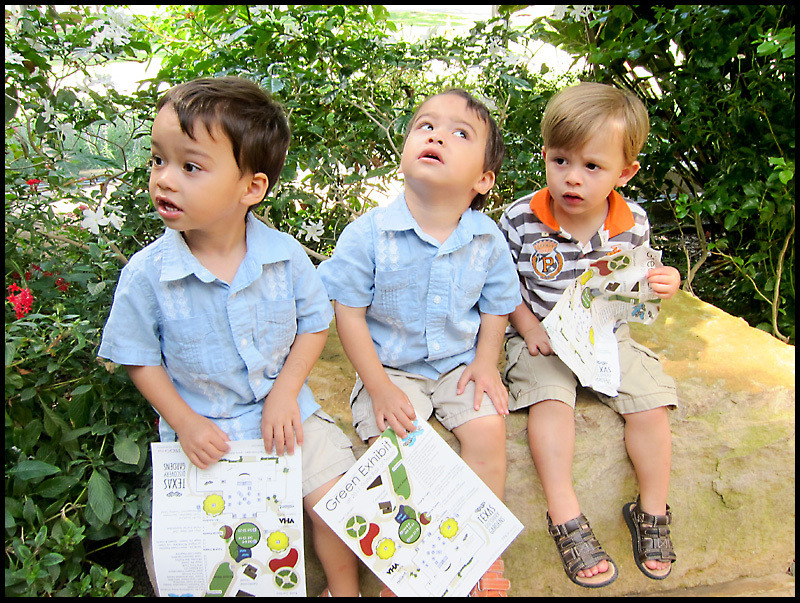 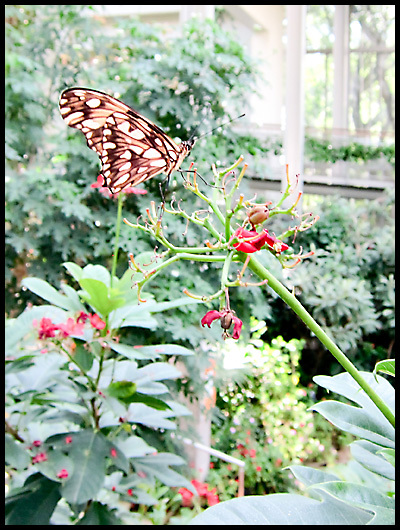 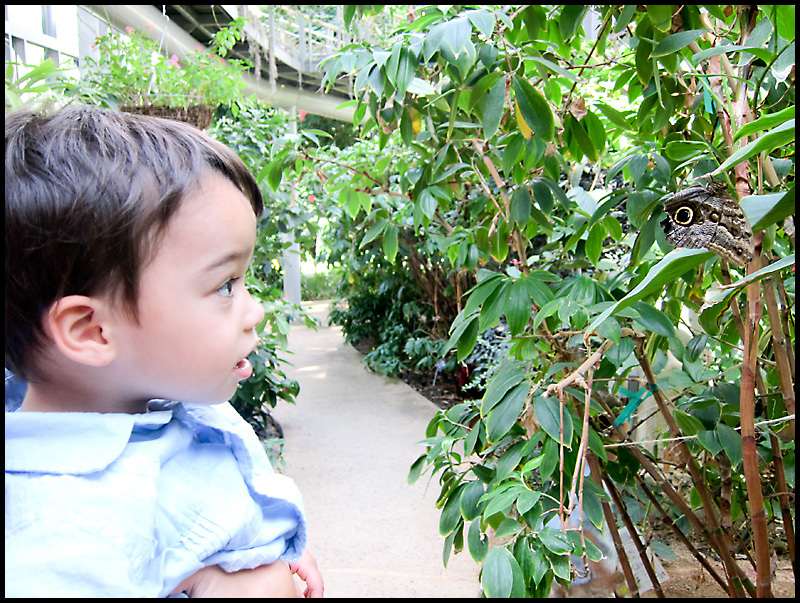 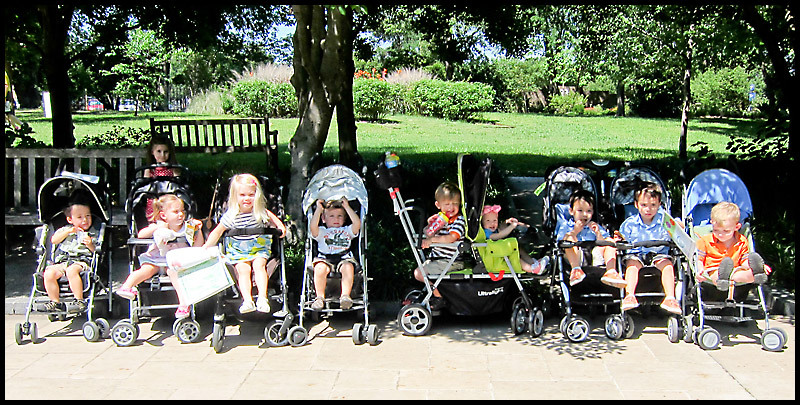 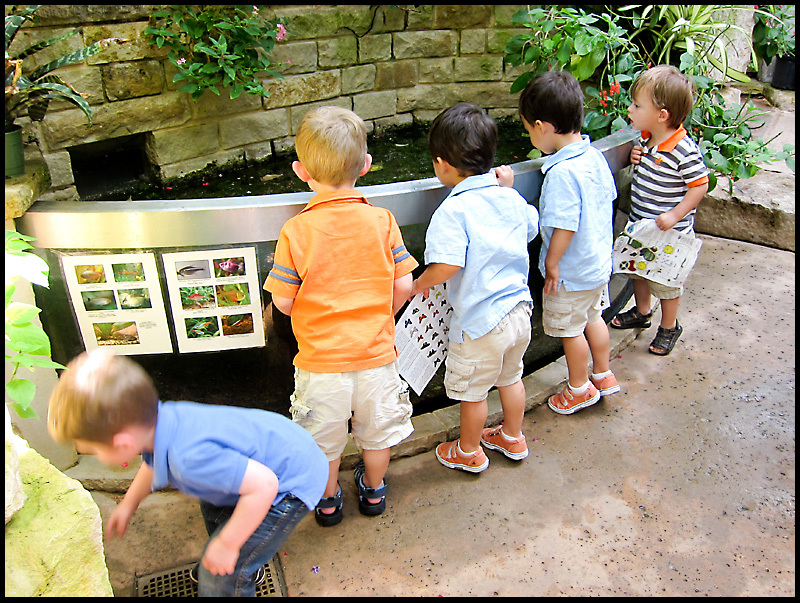 We had a fun playdate at the Butterfly House at Fair Park this morning. 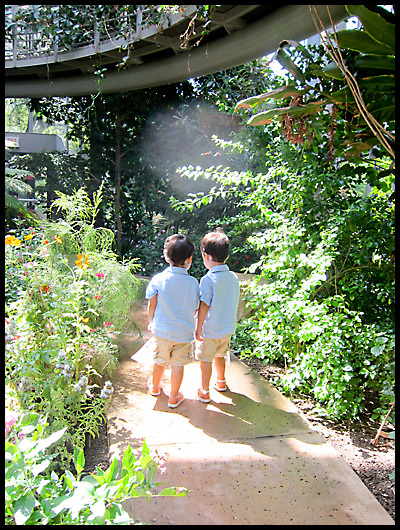 Despite all the mosquitoes that feasted on my legs, I loved it and I think the boys enjoyed it, too! 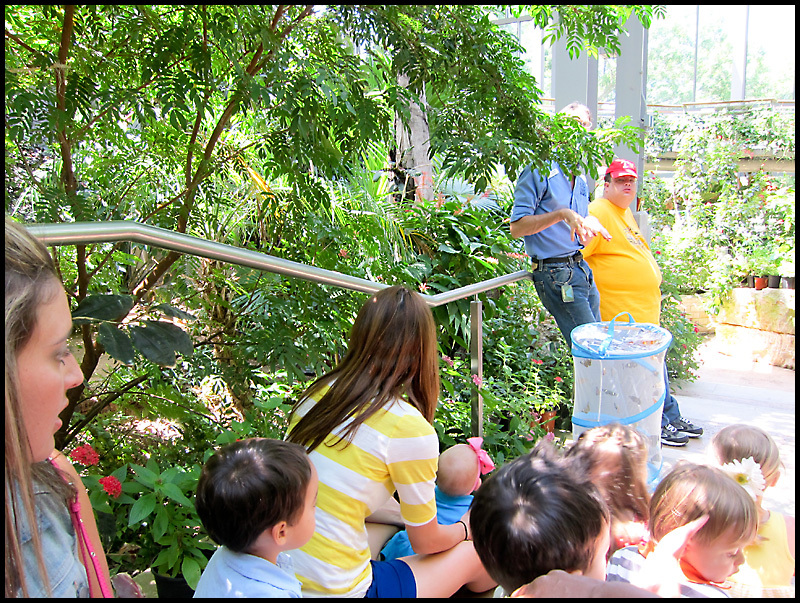 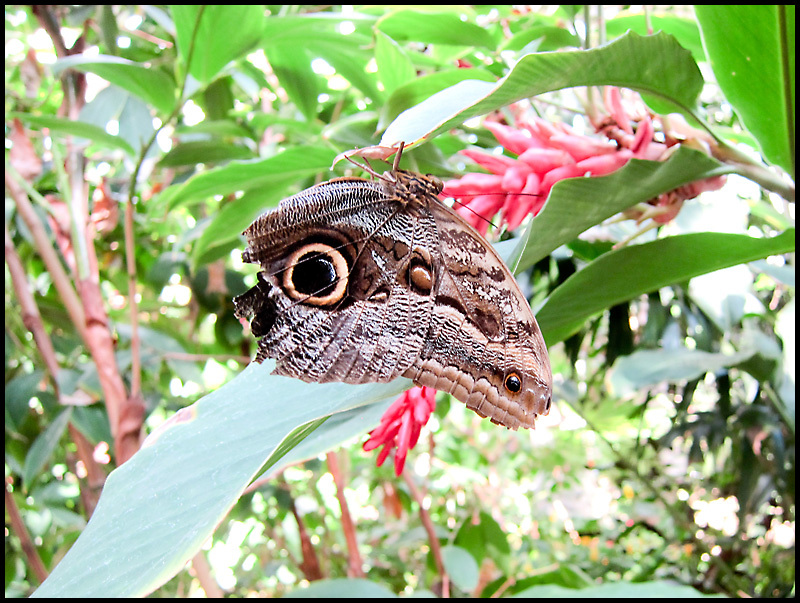 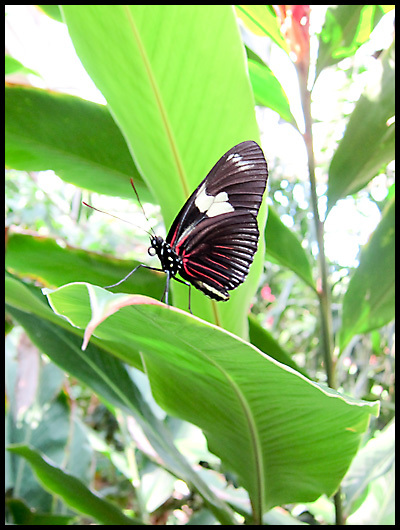 One fact we learned today: A butterfly's average life span is only 2 weeks! 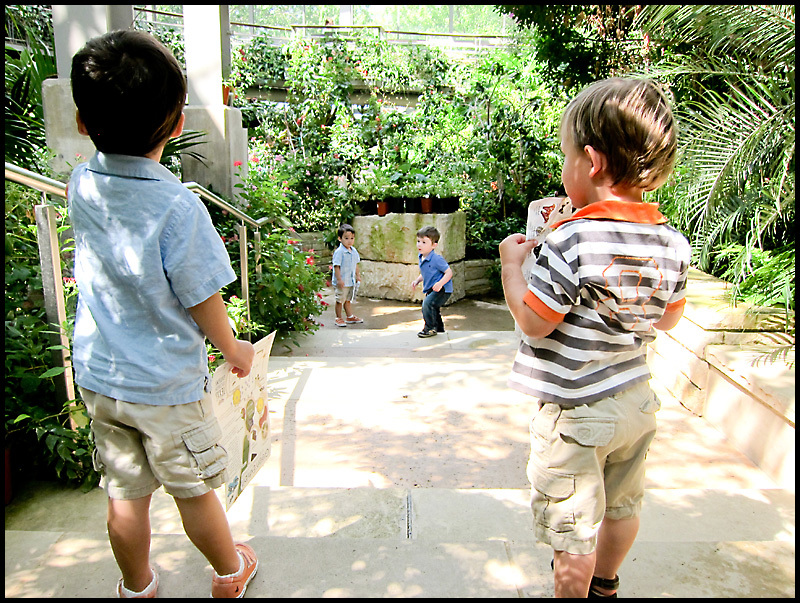 We tried to get a picture of all the kiddos on these steps... and this was the best we got! 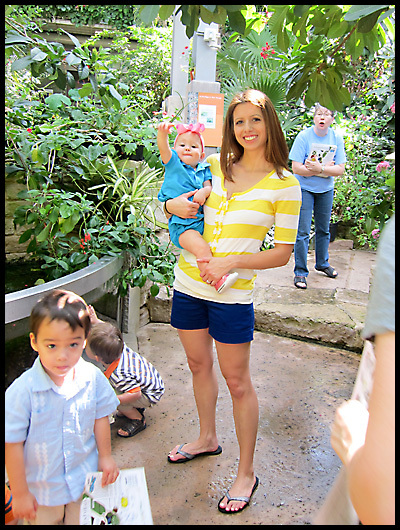 Mommy and Stella (and my Bryce)... and a lady yelling something at us? 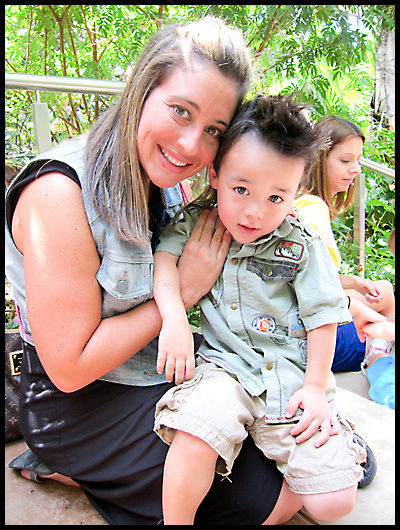 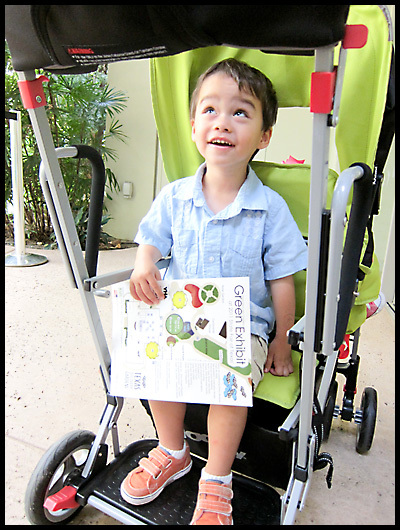 Thanks, Jamie, for inviting us to this fun outing!